The days are growing shorter and there is a definite chill in the air - yup Winter is on its way and I'm not a happy Winter person. 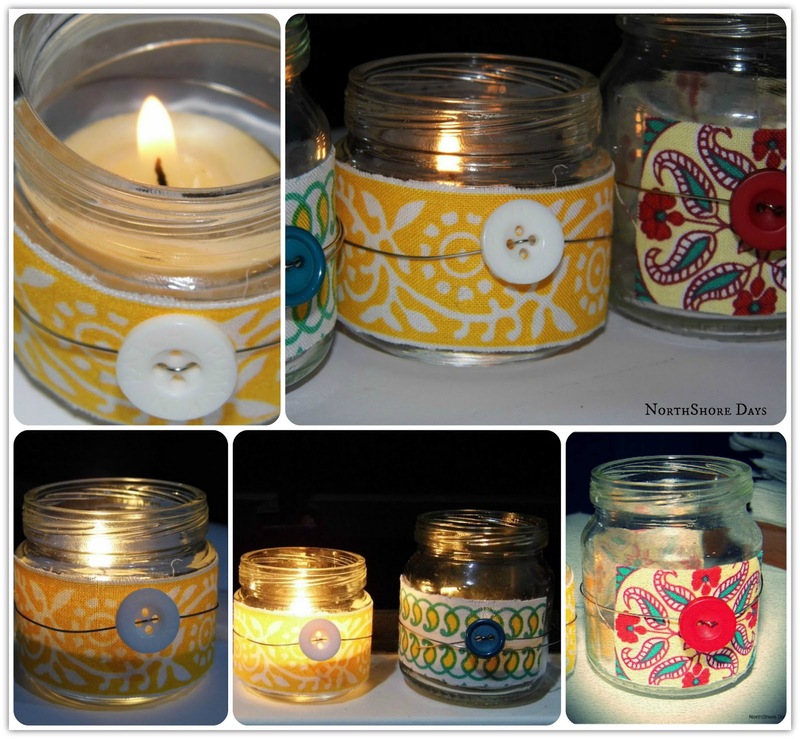 The other day it was dark and dreary and I needed to cheer myself up a bit so I made these cute little candle votives. Unfortunately I didn't take any pictures while I was creating them but they are so simple to make. Doesn't this fabric make you happy? 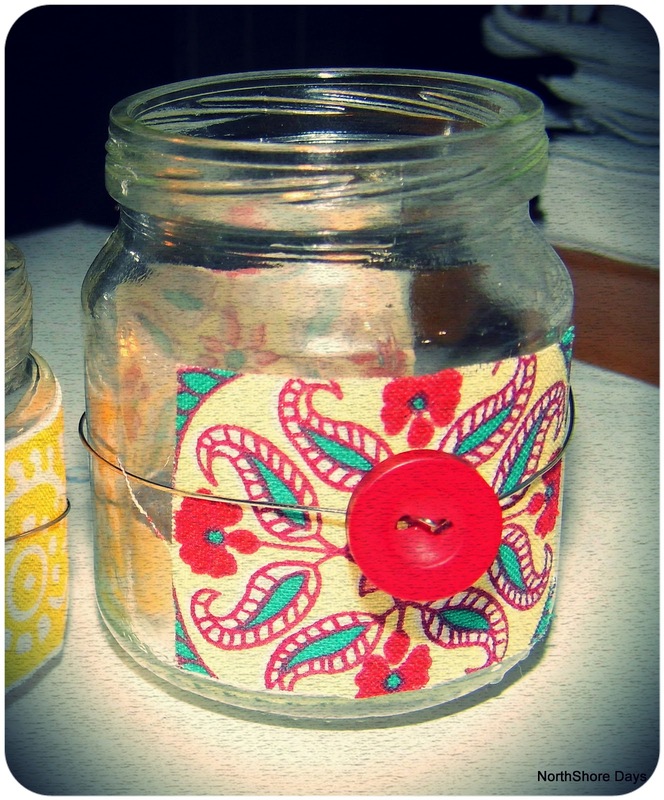 So literally all I did.... cut out a piece of fabric, add tape to the back and stick onto the jar. Thread a button onto wire and wrap around..... How simple was that??? And they definitely did a great job of cheering me up on that dreary Autumn day. How odd, that you're heading towards winter and we are leaving it behind. Glad your pretty little votives cheered you up ! Love you lots!! I miss you so much, I have to come around for coffee! Hope you're coping! These are lovely. Seen you on tip junkie, thanx for sharing. What a great idea ... so easy and peasy all in one! 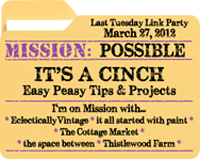 They make me smile too - my mason jars are calling for some snazzing up like this! These are precious! 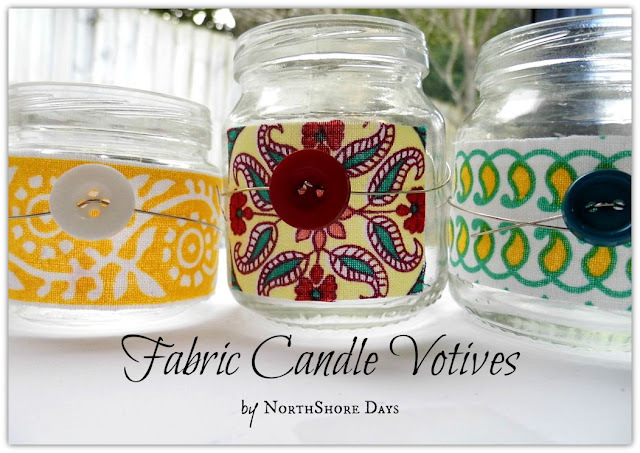 great way to use baby food jars!! As your days get shorter, ours are getting longer!Featuring these today on our facebook page! Thank you for linking up! Letting you know I featured these on the Stinky Linky party tonight...cause they are too cute! I love these, Nat! So pretty!! !